Aren’t these cute plates? I found these at Dollar Tree a couple of years ago. I know they had them again last year, so they may have them this year, too. 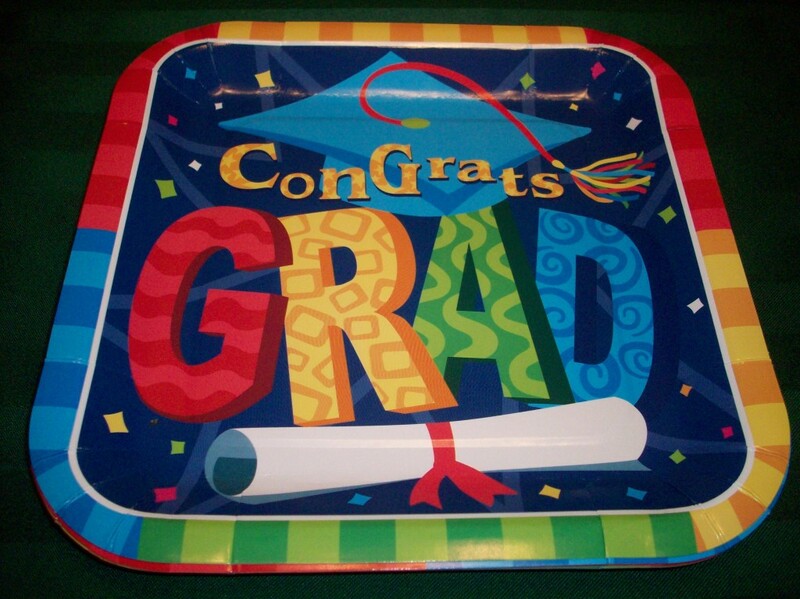 You can plan an inexpensive graduation party by getting paper items there. Below are some more ideas. The graduation cupcakes look great and can be used for any age. The ones in the link below were actually for a friend who just received her master’s degree. This entry was posted in Graduation and tagged graduation cake, graduation cupcakes, graduation party ideas by Charla. Bookmark the permalink.